Need something to clean and care for all your suede and nubuck shoes? 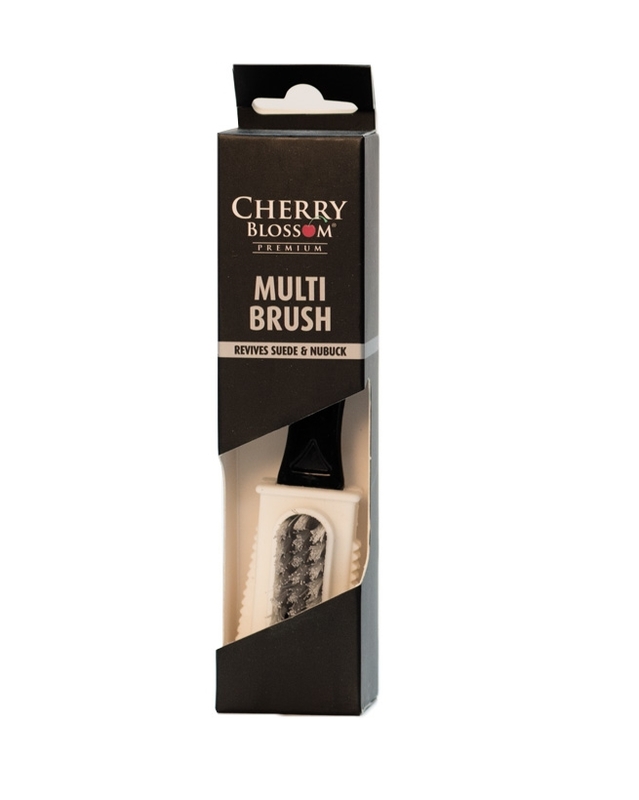 Cherry Blossom's multi-use Suede and Nubuck brush boasts synthetic bristles, a rubber cap and even has a hanger hole to make storing it away a doddle! It's the perfect tool for cleaning all of your favourite suede and nubuck footwear and accessories. This brush is the best ever! Really effective and easy to use, whether I just want to brush up the suede or do a more radical clean, removing mud. Heartily recommended.